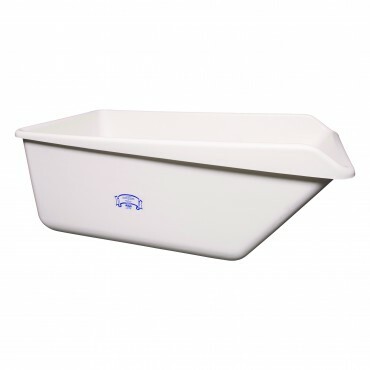 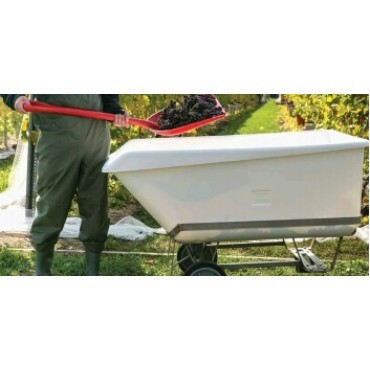 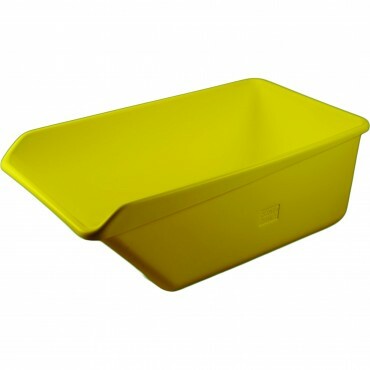 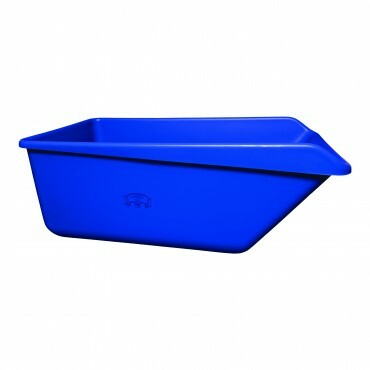 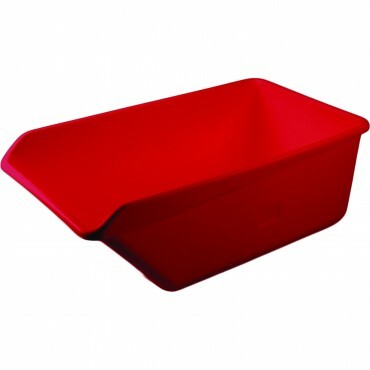 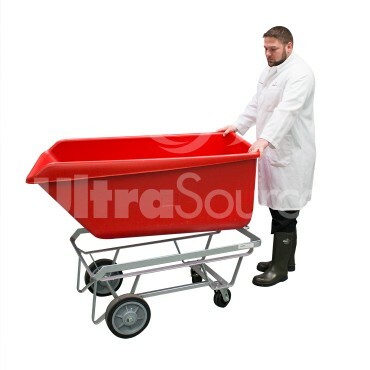 Manufactured from high-density polyethylene, these versatile tubs can be used for transporting, freezing and storing. 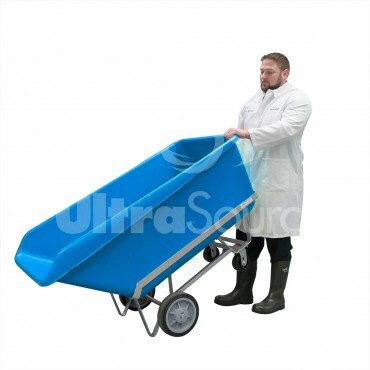 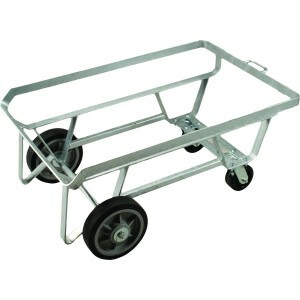 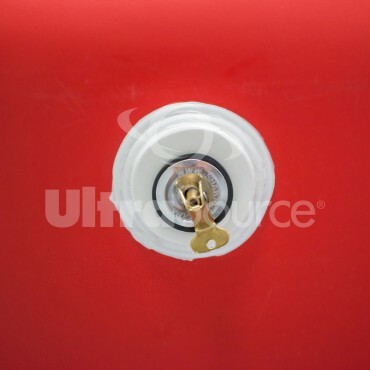 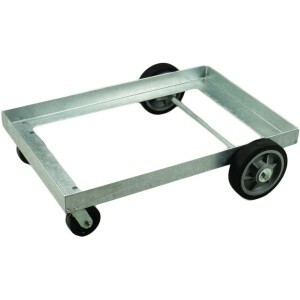 This model has an angled edge that allows the unit to be tipped and emptied easily. 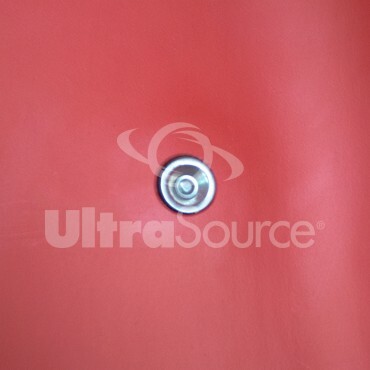 These tubs fit regular or low steel undercarriages, which are sold separately. 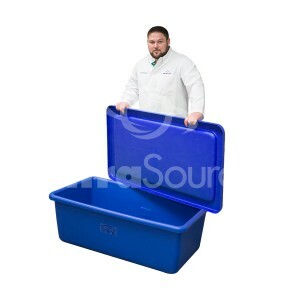 These tubs meet all USDA specifications and are commonly used for meat, seafood, poultry, commercial fishing, confectionery, bakery, and grain applications. 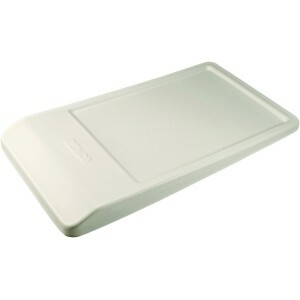 Lids and Undercarriage sold seperately.